Need to share a great idea with your team? 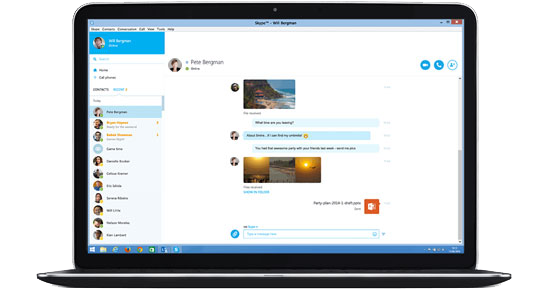 Get up to 10 people together on a Skype call and share your screen with everyone. As well as being able to see your screen, you can let your audience see you too – perfect if you want to show off your presentation skills.